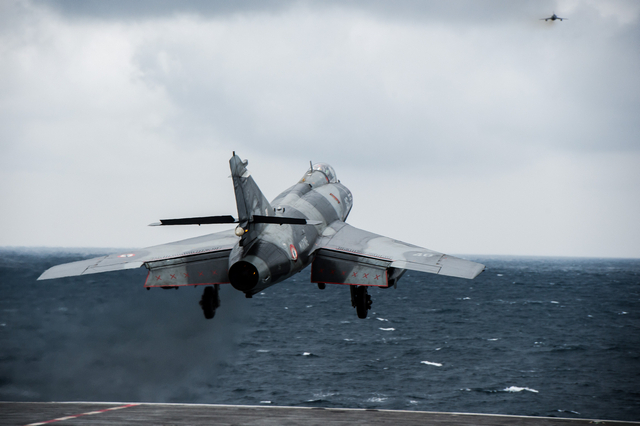 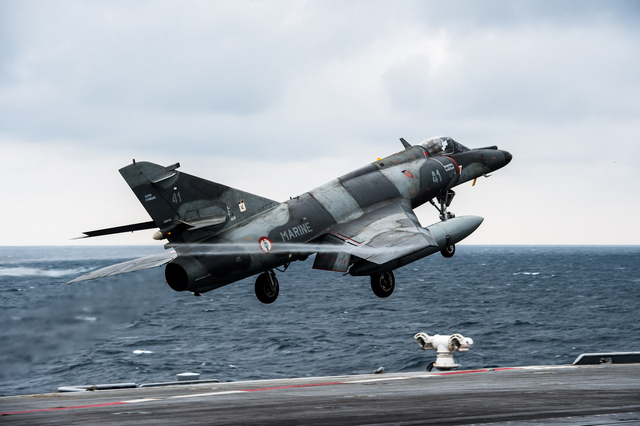 The French Navy (Marine Nationale) released a video showing the last operational catapult launch for the Super Etendard Modernisé (SEM) from aircraft carrier Charles de Gaulle. 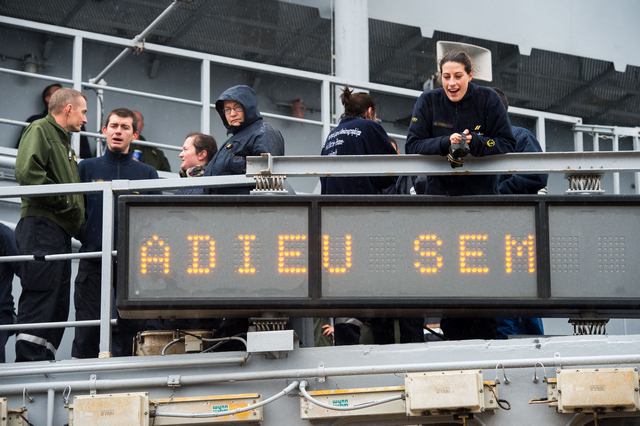 The event which took place March 16 2016 as Charles de Gaulle was coming back to Toulon naval base from its deployment in the Middle East marks the end of an era for the SEM. 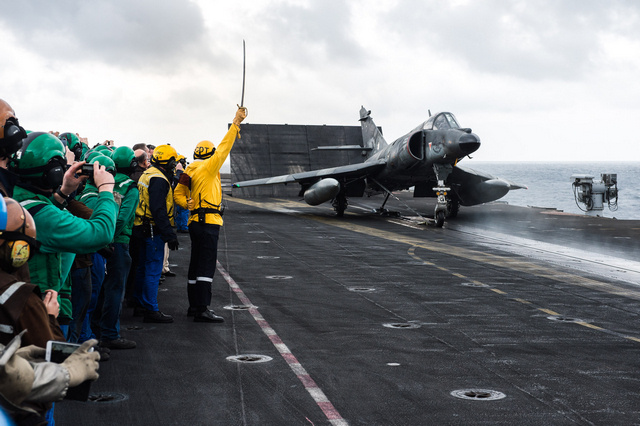 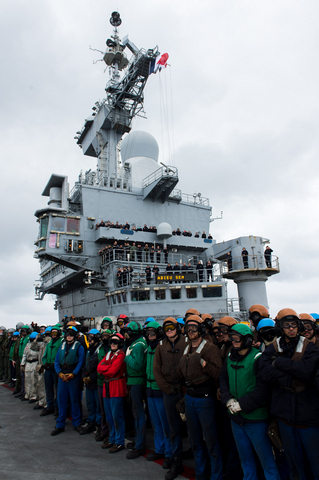 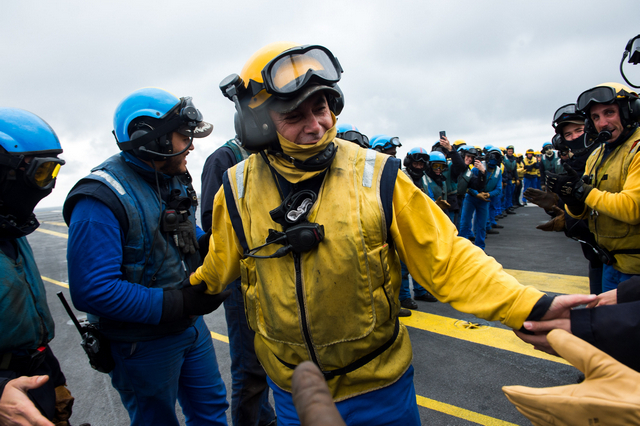 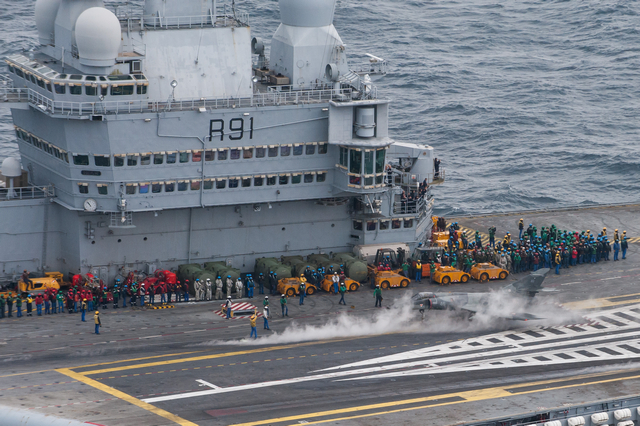 As per tradition to bid farewell, a large part of the Charles de Gaulle crew gathered on the flight deck and the catapult officer launched the last SEM with a saber in his right hand. 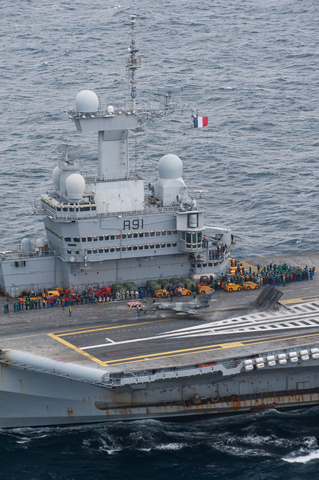 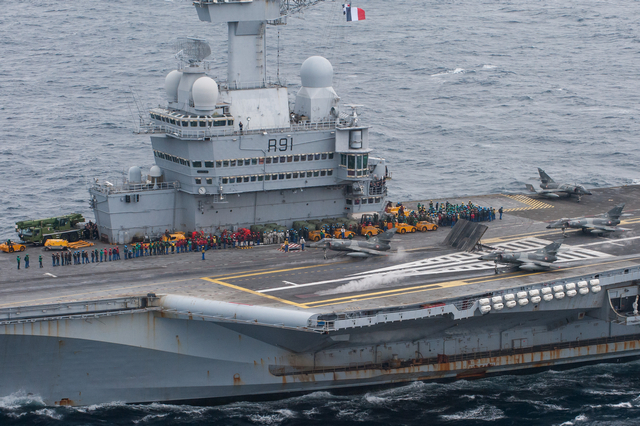 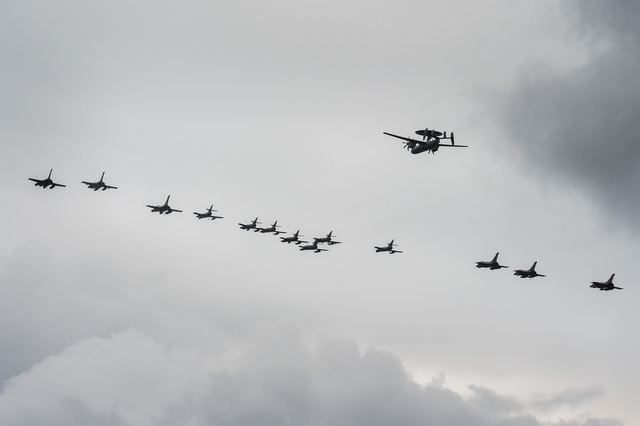 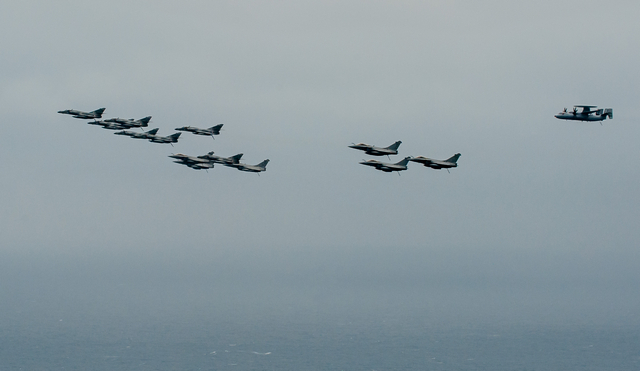 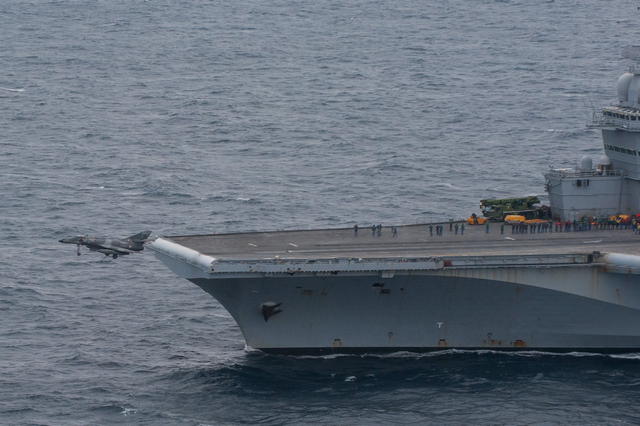 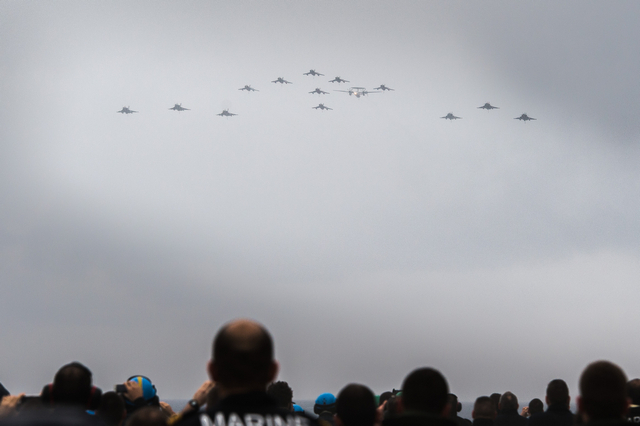 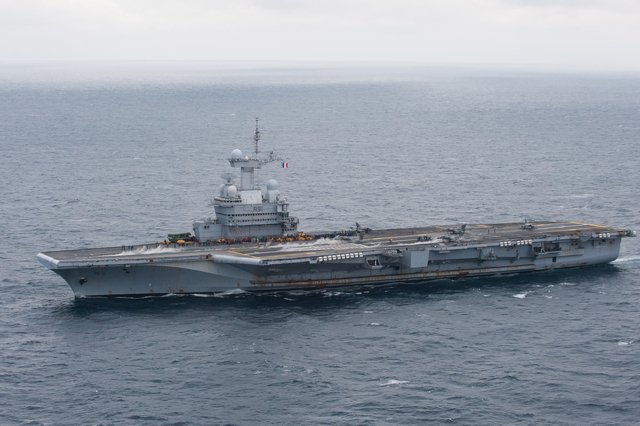 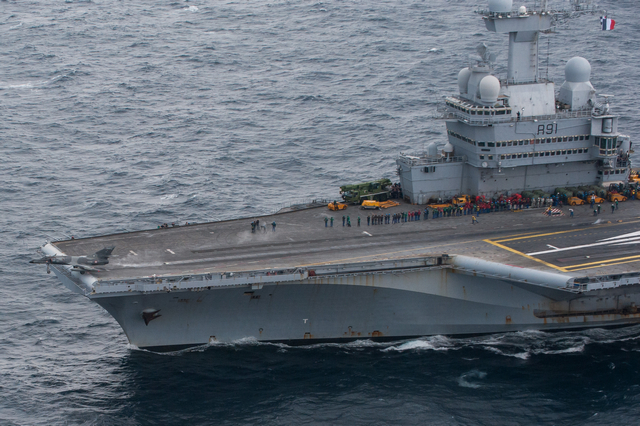 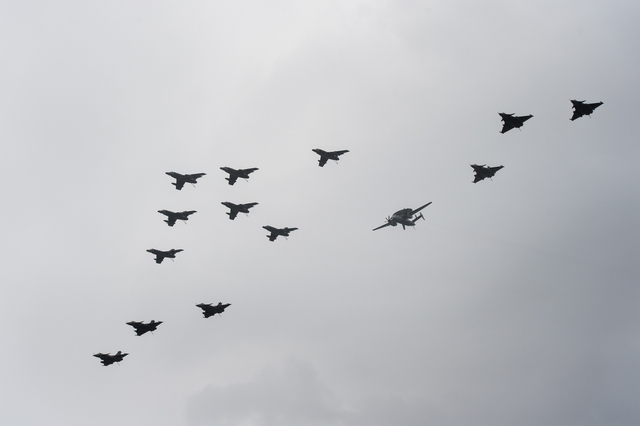 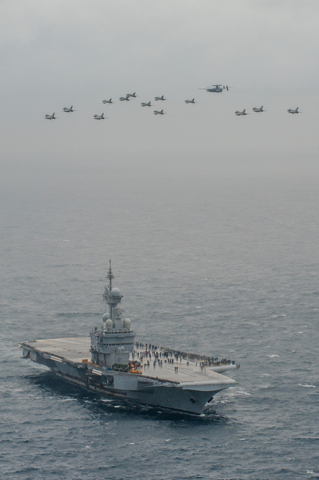 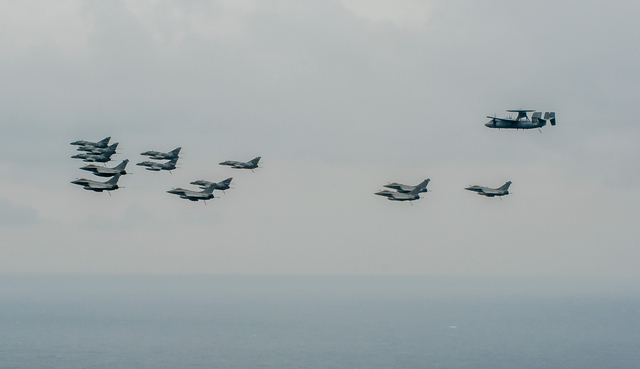 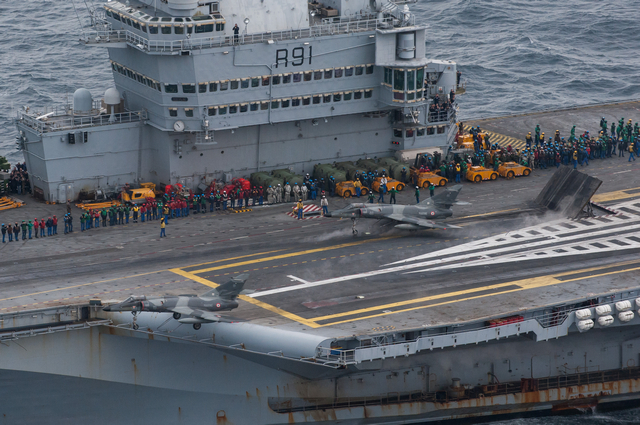 Contacted by Navy Recognition, a French Navy Naval Aviation spokesperson explained that eight SEMs fighters were aboard the aircraft carrier for the deployment. 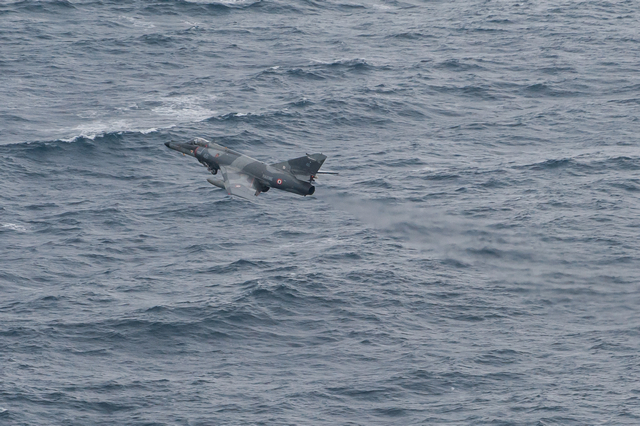 They belonged to Flottille (air squadron) 17F. 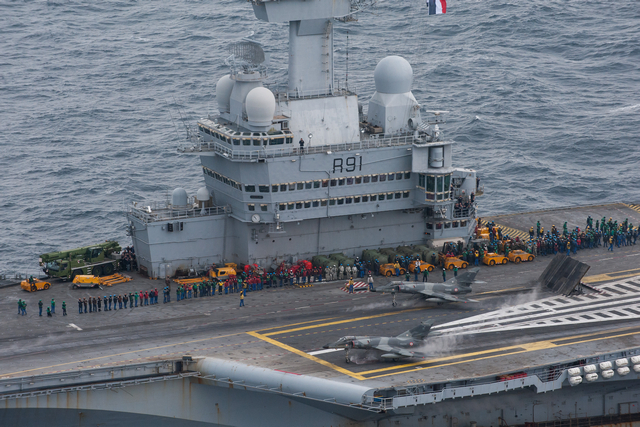 All SEMs will be retired on July 12th this year and 17F will start transitioning on the Rafale M on July 13th. 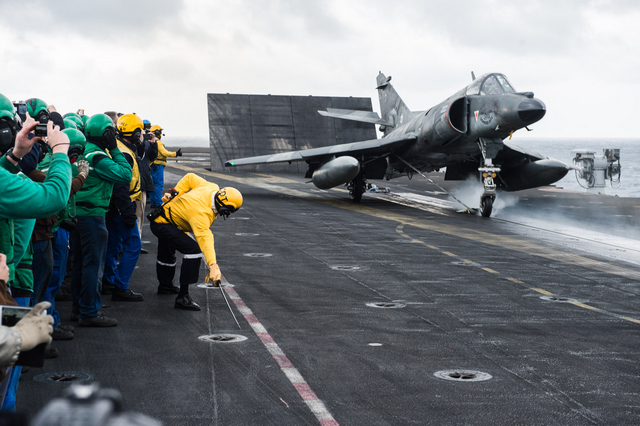 During the Charles de Gaulle mid-life refit (for refuelling and overhaul), all 17F personnel will be trained on the Rafale M. All French Navy Naval Aviation Strike Fighter Squadron (11F, 12F and 17F) will then fly on the Rafale M.
Close to 50 SEMs were delivered to the French Navy. 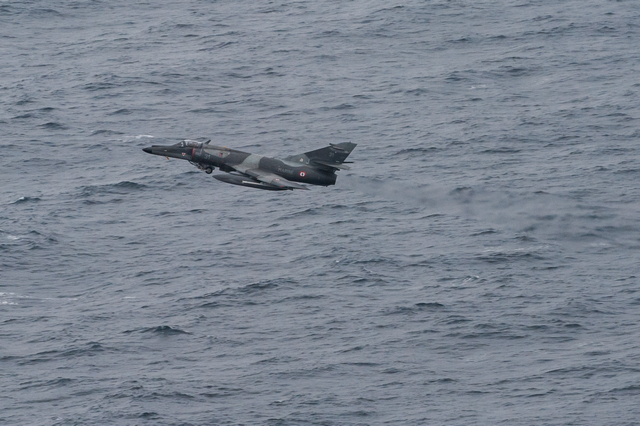 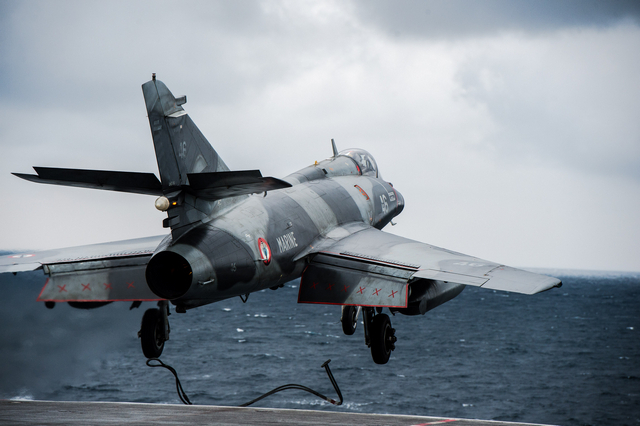 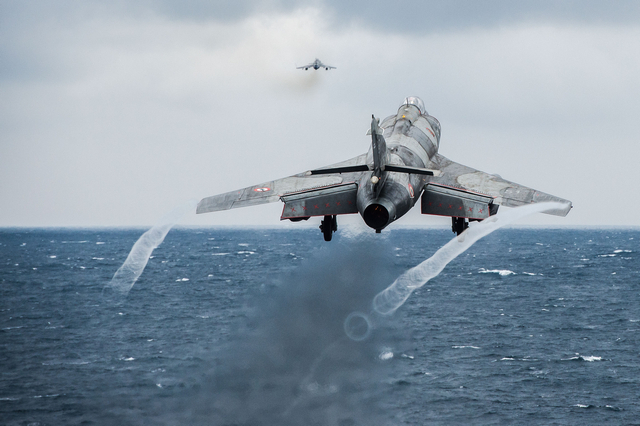 Based on the Super Étendard, itself based on the Étendard IVM, the Super Etendard Modernisé was constantly upgraded by the French Navy through its life. 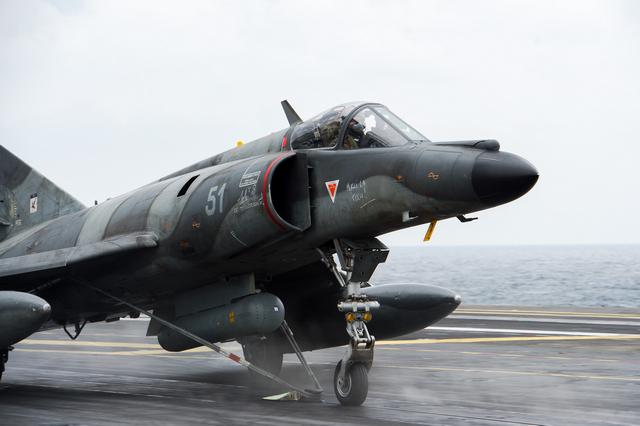 It was used for anti-ship, strike, reconnaissance and nuclear strike missions.